This is kingsnake.com's main forum for insects, spiders, scorpions and other inverebrates commonly referred to as "bugs". There are more insects than all other kinds of animals. As of 2008, approximately 40,000 spider species, and 109 families have been recorded by taxonomists. Insects are the largest group of animals on earth by far with more than 800,000 different species described. With new species of insects continually being found entomologists think there are millions of species still undiscovered. Whether your interested in Goliath Bird Eater spiders, or Daddy Long Legs, Centipedes or Millipedes, Butterflies or Moths, this is the place to start. Here you may post messages or questions pertaining to the collecting, keeping, breeding and care of these invertebrate animals. 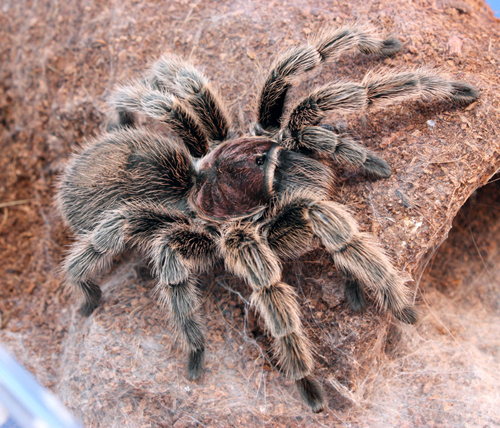 Before deciding to embark on the road to insect and arachnid ownership, check your state and local laws and regulations concerning the legality of keeping these pets.